Make sure you have installed an earlier version of Virtual Office for Salesforce Communication Panel (previously known as the Virtual Office App for Salesforce). If you have not installed it, click here for detailed installation instructions. 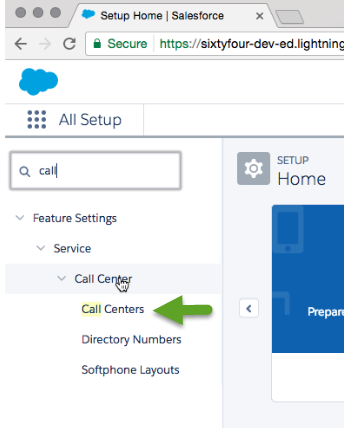 Note: If you installed the XML file from Salesforce Classic mode as documented above, you do not need to repeat that process; the call center will also appear in Lightning mode. In that case, skip to Step 8 below. Click this link to download the XML document. Enter <call centers> in the Quick Find/Search box. After import, you may need to edit the 8x8 Virtual Office Integration - Next Generation_Lightning. Change any other settings according to your business needs. 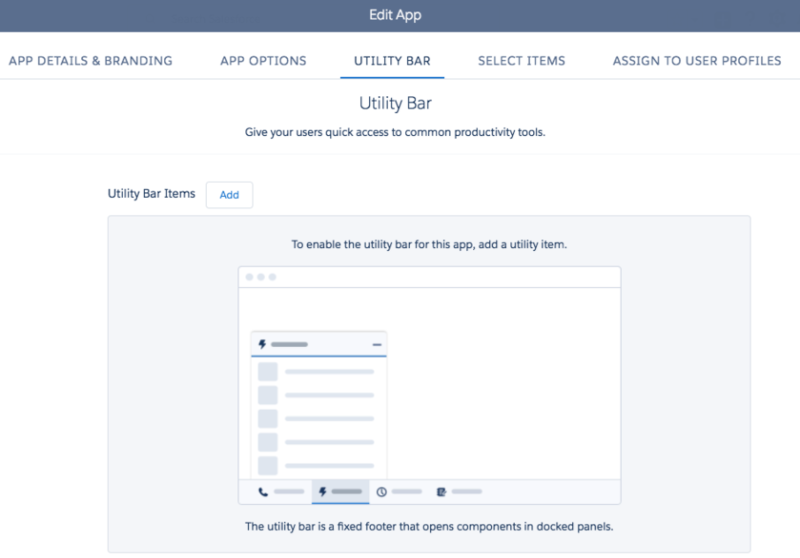 Add users to the call centers app (Next Generation_Lightning). Enter <call centers> again in the Quick Find/Search box. Select 8x8 Virtual Office Integration - Next Generation_Lightning. Scroll to the bottom and select Manage Call Center Users. Identify and select users who need Lightning version of the Virtual Office for Salesforce Communication Panel, and click Add to Call Center. 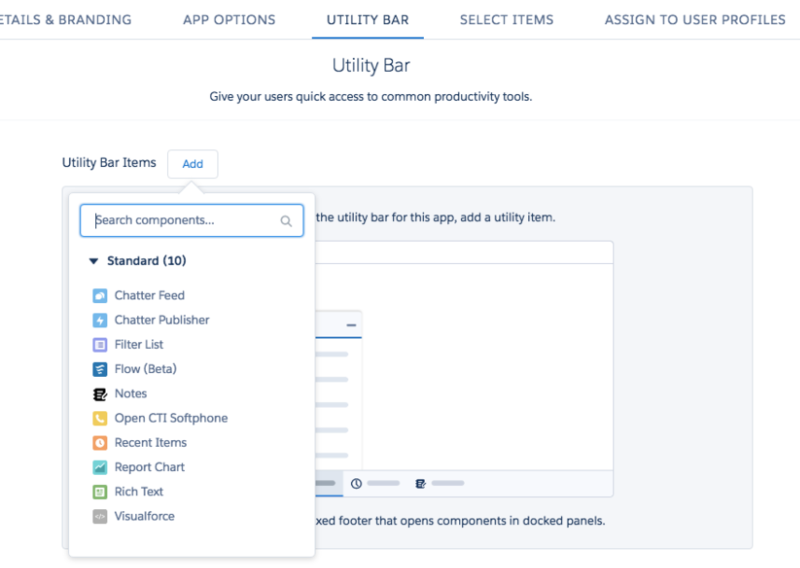 Switch to the Lightning Experience in Salesforce before continuing. The purpose of this section is to enable the Virtual Office for Salesforce Communication Panel to appear in the Salesforce Utility Bar for Salesforce users. Click Setup, which is the sprocket icon to the top right of the page. In the Quick Find, type App Manager, and click the link. 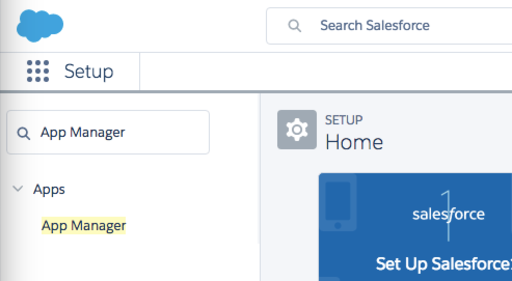 In Setup > Lightning Experience App Manager, find the appropriate application such as Sales LightningSales, click the drop down on the far right and select Edit. Click the UTILITY BAR tab. Next to Utility Bar Items, click Add. Search for Open CTI Softphone, or just select it. A message should appear at the top of the screen stating utility bar changes are saved. Click Done.